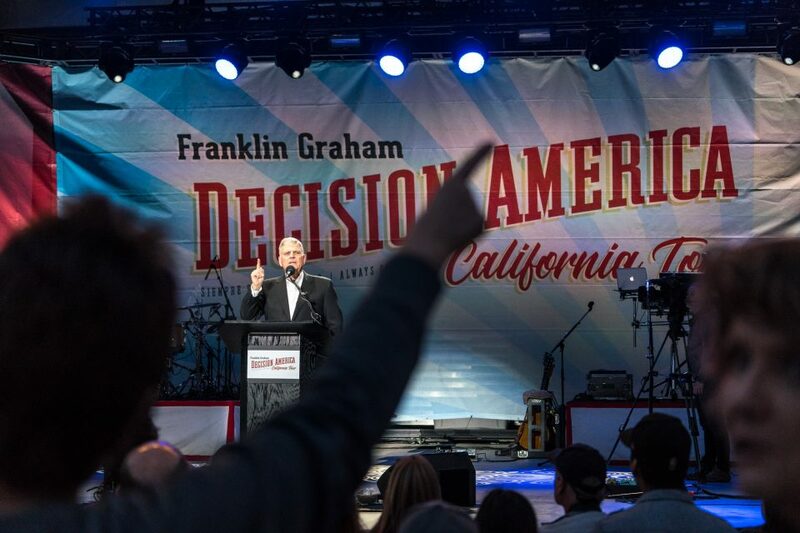 Franklin Graham returned to Bakersfield Friday night on the 4th stop of the 10-city Decision America California Tour. The evangelist and son of Billy Graham, he also preached here in 2004. 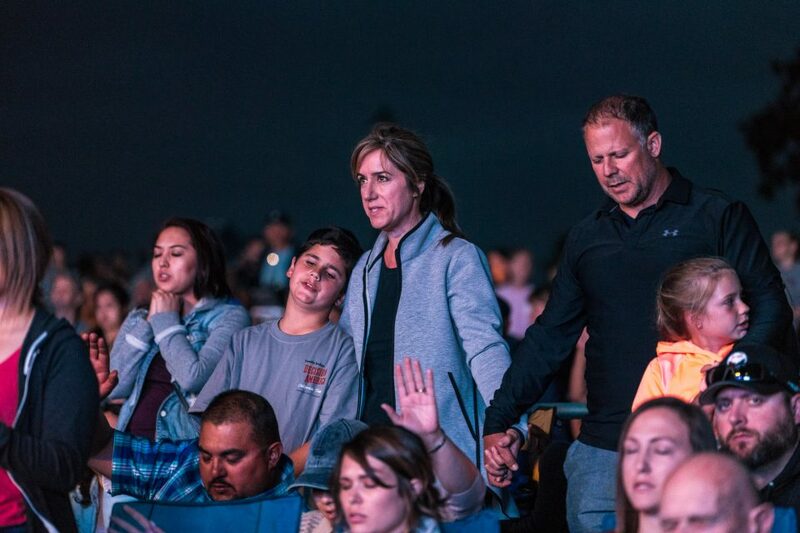 The 2018 tour consists of one-day prayer and evangelistic events to bring communities together for Christ up and down The Golden State. The tour began in Escondido, then moved to Pasadena and Oxford. The next stop is Fresno on Memorial Day. 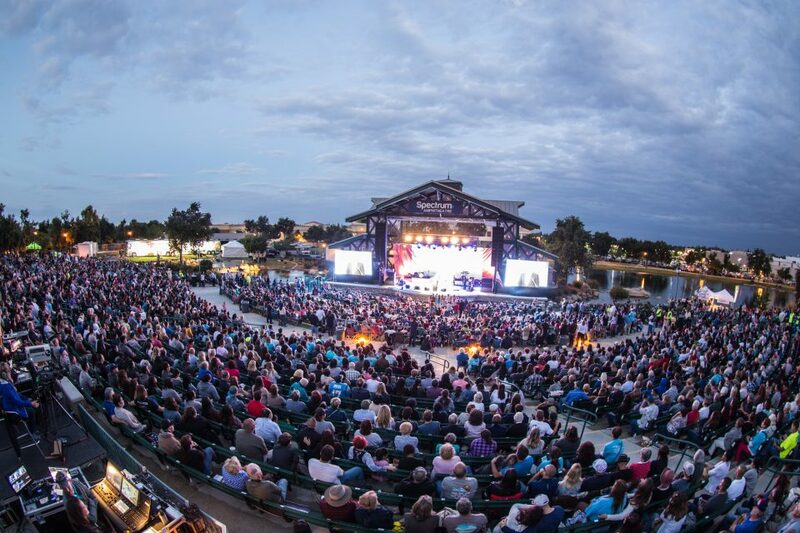 More than 8,000 people came to the Spectrum Amphitheatre in Bakersfield. Surrounded by water, it was a beautiful setting. 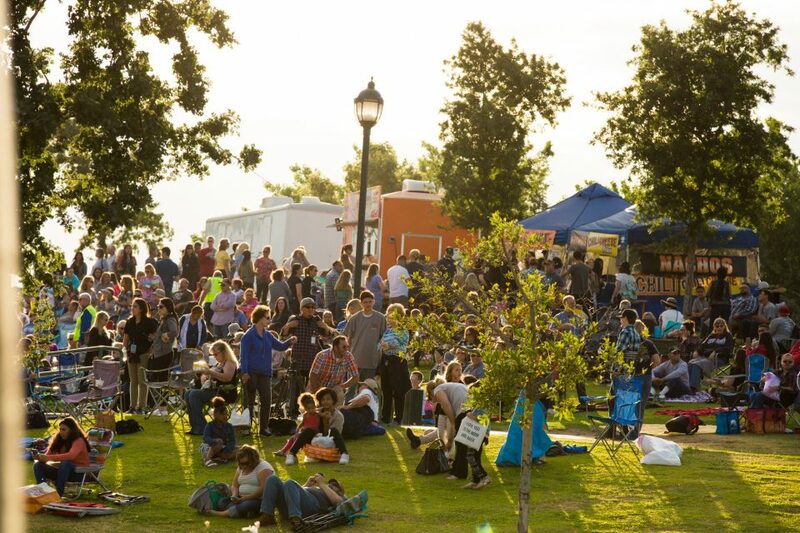 Bakersfield is in the San Joaquin Valley and is a a short drive from the Sierra Nevada Mountains and some of California's expansive national forests. 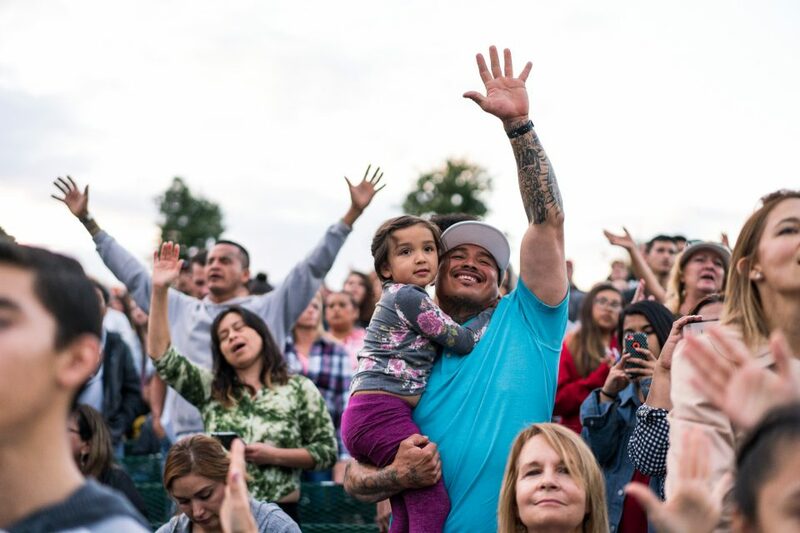 Proverbs 22:6 says, "Train up a child in the way he should go; even when he is old he will not depart from it." 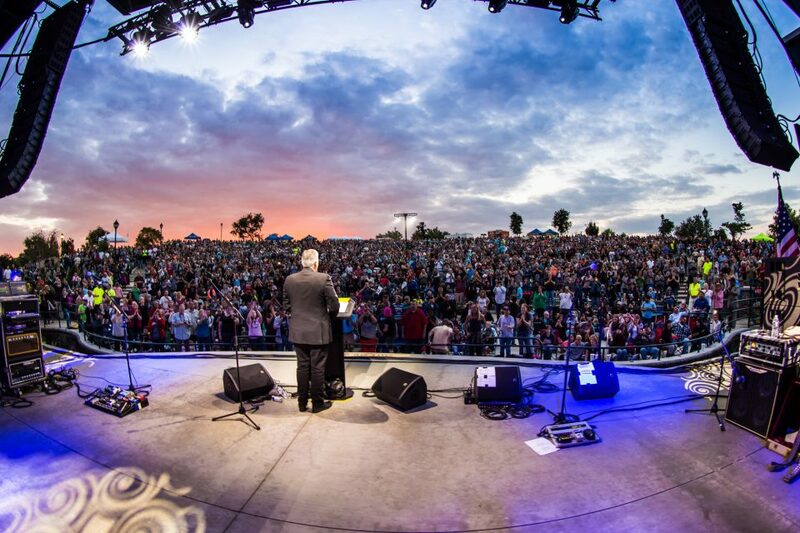 The Billy Graham Evangelistic Association is thankful for all the volunteers in every city on the tour. We couldn't do it without you. 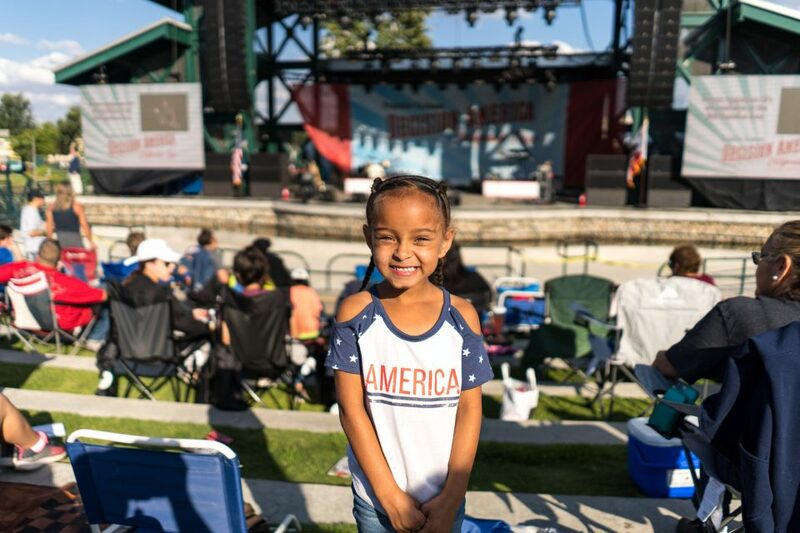 Bakersfield is known as ‘The Country Music Capital of the West Coast’ and ‘Nashville West.’ Birthplace of the Bakersfield Sound, this subgenre of country music is a mix of twangy guitars, drums, fiddle, and steel guitar. 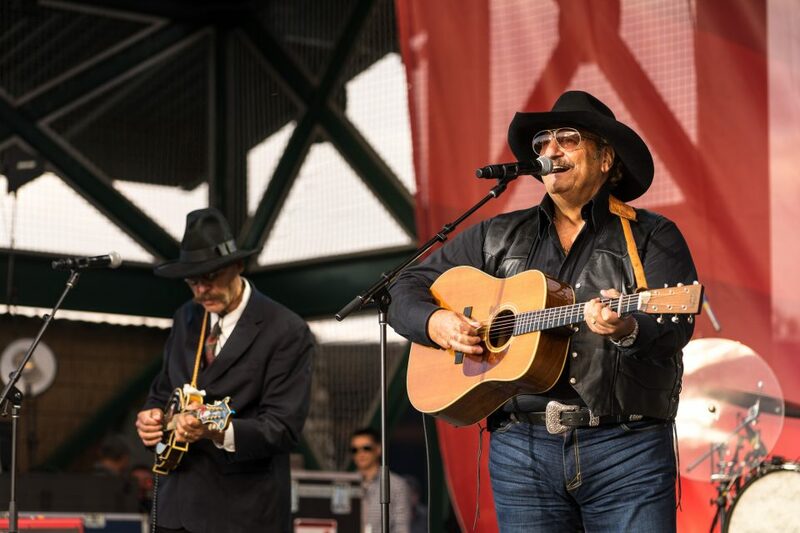 Dennis Agajanian knows a thing or two about that. 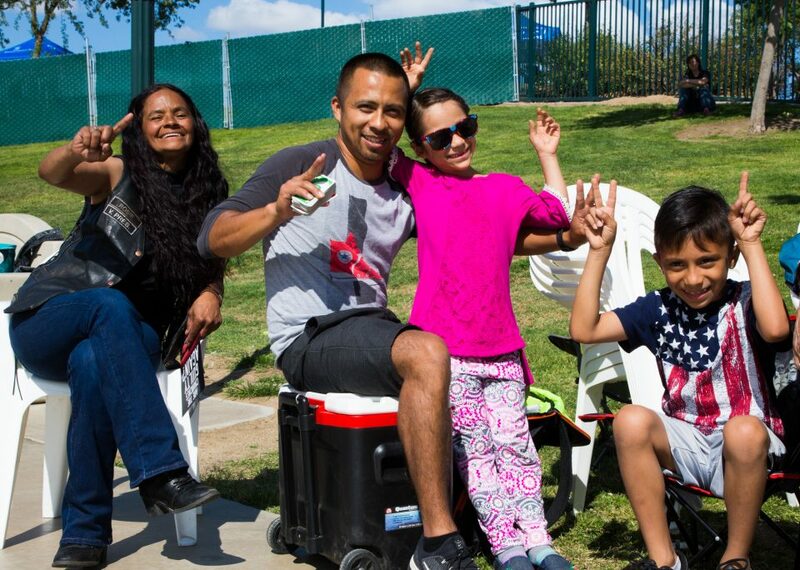 The free event attracted lots of families, kicking off a long holiday weekend for many. 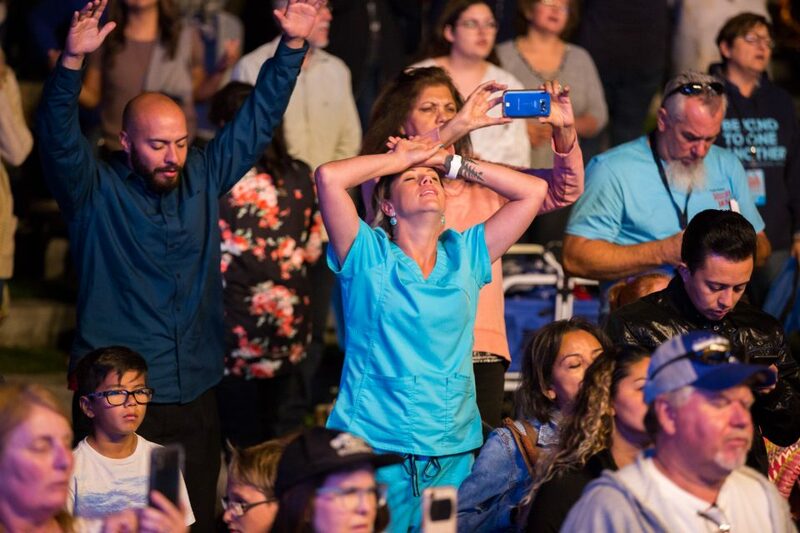 Giving the invitation to receive Christ as Lord and Savior, Franklin Graham asked people to take a stand—literally—for Christ. Trained prayer volunteers explained what it means to live a Christian life, talked with those who had questions and offered prayer. 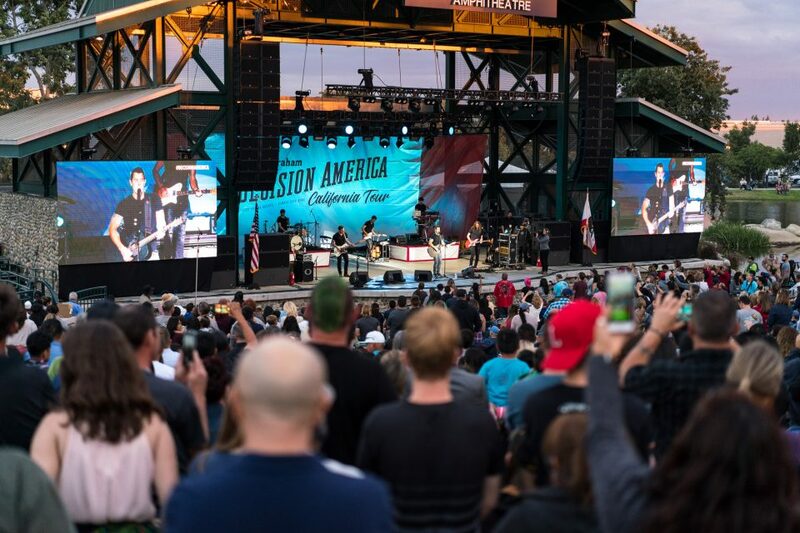 GRAMMY-nominated singer, songwriter and storyteller Jeremy Camp is joining Franklin Graham on the tour, sharing the Good News of Jesus Christ loud and clear. 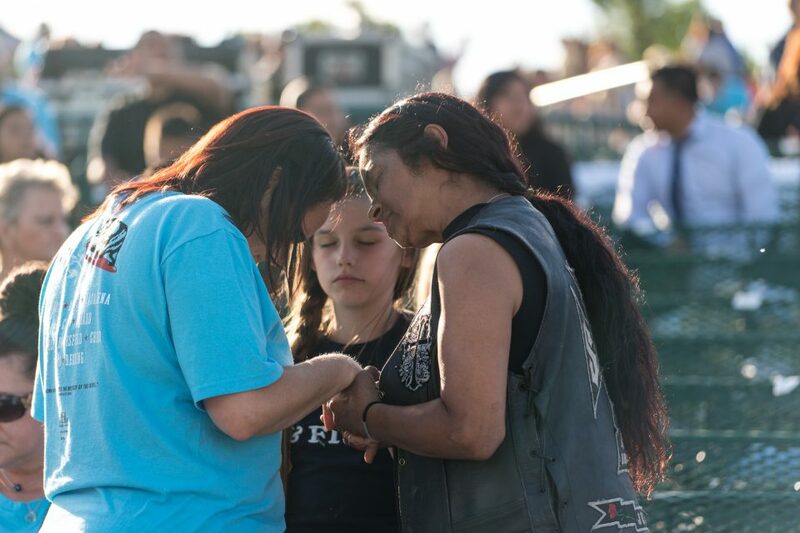 Camp often uses personal testimonies, telling how trusting God helped him survive some extremely hard times. Do you want this kind of inner peace? 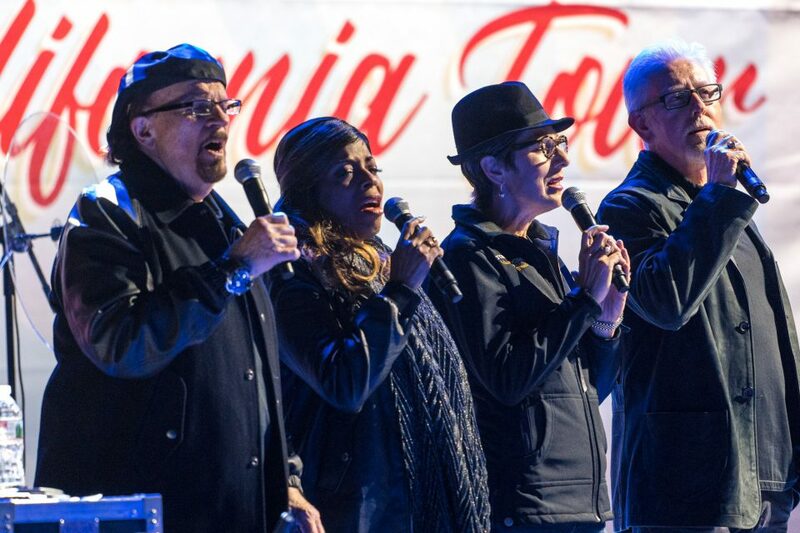 The Tommy Coomes Band has ministered in over 28 countries on 6 continents with Billy Graham, Franklin Graham and other ministries. 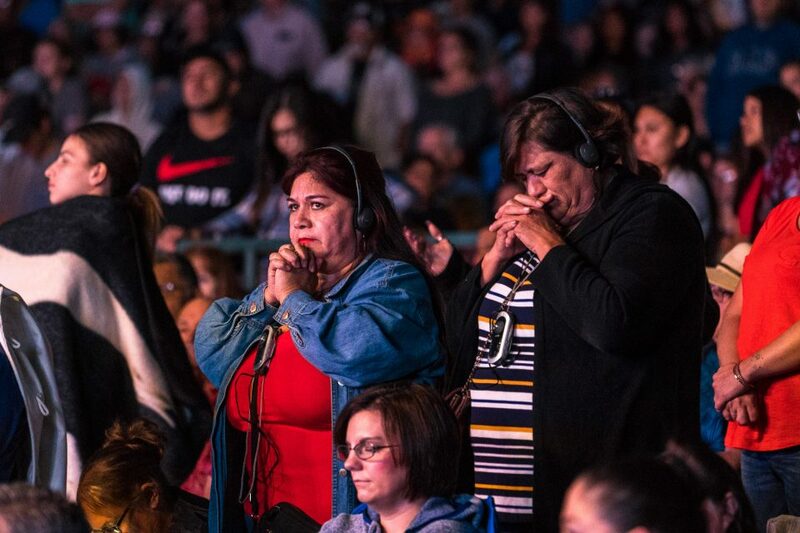 Headphones were available for anyone who wanted to listen to the message in Spanish. Franklin Graham has said he's just the messenger. It's God's Holy Spirit that stirs hearts. 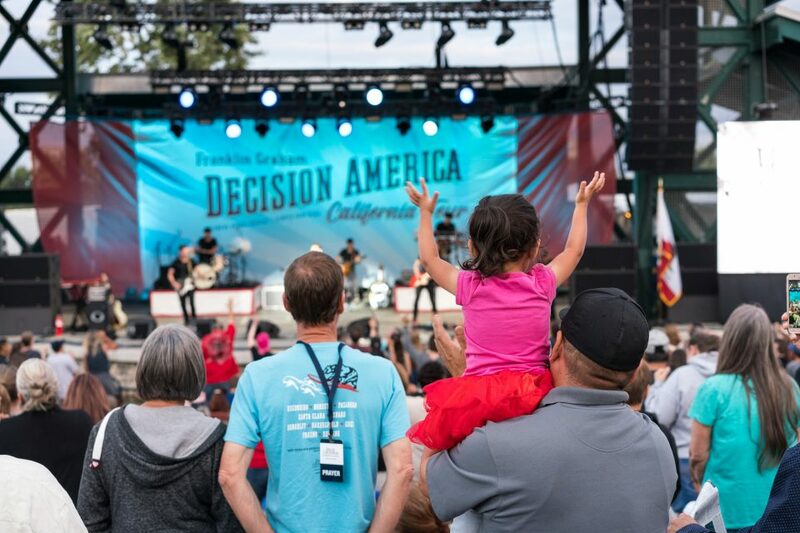 The Decision America California Tour rolls up the state into Fresno for a Memorial Day stop, the halfway point of the Tour. Get details here.